Being raised on the east coast of the United States I guess I should be used to the snow by now — but I’m not. As a kid, I loved the snow. I loved sledding, snowboarding, and snowball fights. But now, as an adult, snow just means an inconvenience. It means travel is going to be terrible. It means not being able to drive to the gym. And it means being stuck in the apartment. That said, I’m taking this snow day on the east coast and writing a blog post on capturing mouse click events with Python and OpenCV. In this example we’ll click and drag a rectangular Region of Interest (ROI) and crop it from our image. This technique is especially helpful if you are labeling data as input to an image classification algorithm. So if you’re trying to understand how mouse click events work with Python and OpenCV, then look no further! This blog post will show you exactly that! We’ll start by importing our two necessary packages: argparse for parsing command line arguments and cv2 for our OpenCV bindings. We also define two global variables on Lines 7 and 8: refPt , which is a list of two (x, y)-coordinates specifying the rectangular region we are going to crop from our image, and cropping , a boolean indicating whether we are in cropping mode or not. To process the mouse click events we define the click_and_crop callback function on Line 10. Anytime a mouse event happens, OpenCV will relay the pertinent details to our click_and_crop function. event: The event that took place (left mouse button pressed, left mouse button released, mouse movement, etc). x: The x-coordinate of the event. y: The y-coordinate of the event. 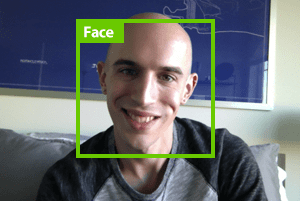 flags: Any relevant flags passed by OpenCV. params: Any extra parameters supplied by OpenCV. From there we grab reference to our refPt list and cropping flag on Line 12. We then make a check on Line 17 to see if our left mouse button was pressed. If it was, we record the (x, y)-coordinates of the event and indicate that we are now in “cropping mode”. At this point we would drag out the rectangular region of the image that we want to crop. After we are done dragging out the region, we release the left mouse button — Line 22 handles when the left mouse button is released and updates the list of points containing our ROI. We also draw the rectangle representing the ROI on Lines 29 and 30. We start by parsing our command line arguments on Lines 33-35. We need only a single switch here, --image , which is the path to the image we want to crop. This image is then loaded and cloned on Lines 38 and 39. We make a deep copy of the image so we can draw the rectangular bounding box on Line 29 without destroying the original image. Lines 40 and 41 handle registering our click_and_crop callback function. We first call cv2.namedWindow to create a window named “image”. And we then set the mouse callback by calling cv2.setMouseCallback , supplying our named “image” window and our click_and_crop callback function. From here, the rest of this example just ties the pieces together. We start a loop on Line 44 which (1) displays our image on screen and (2) waits for a keypress. This is the point where we select the rectangular region we want to crop from the image. And if we press the c key, then we break from the loop and perform the actual cropping on Lines 59-62. Finally, we cleanup and close all open windows on Line 65. Figure 1: Our original image displayed on screen. Figure 2: Clicking and dragging the region of the image we want to crop. Figure 3: Cropping the actual image. As you can see, we have successfully cropped Tim’s face from the image. 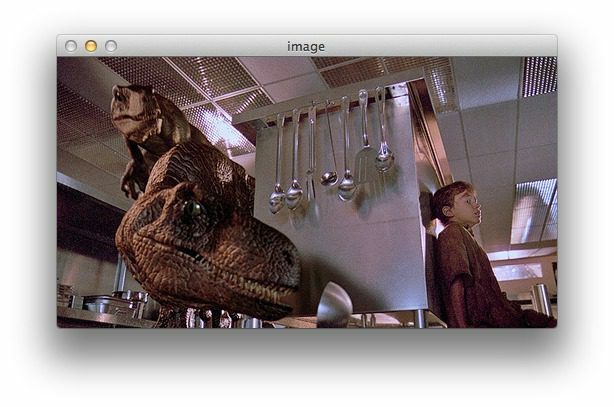 Figure 4: Another example of cropping our image, this time extracting the Velociraptor head from the image. So there you have it — a simple method to capture mouse events to crop an image using Python and OpenCV. In this blog post we learned how to capture mouse events using OpenCV and Python. While this post did not provide a complete and exhaustive overview of all the mouse events you can capture, it laid the groundwork for what is possible. This post also demonstrated how you can quickly crop and extract regions of an image, which is especially useful when creating training data for your own custom object detectors. Another great post… and amazingly timely for me as you often are! This was a huge help for my current work. I did note, that if the bounding box was drawn starting from the right, moving left; it would not work. To eliminate this, with a little research, I added a line to draw the rectangle using the coordinates first ordered by the minimum x,y values- which would be the top left of the box, and got the lower right by subtraction. Now it doesn’t matter how it is drawn. The line is below. Feeling emboldened by your challenge, I also added a cv2.EVENT_MOUSEMOVE (where that line sits), in hopes of seeing the box grow as it is drawn, I did this on a copy of a copy of the original image (didn’t want to use the original for any work). The best I could get here was to see a number of boxes growing larger as I moved the mouse… none of which disappeared, so I had a bunch of boxes on the finished image. The number of boxes depended on the speed I moved the mouse. The cropping still worked great, so the multiple boxes are a riddle for another day! I am working with the opencv grabcut code… which uses mouse movements to capture coordinates- and it draws a box nice and smooth. I cannot see what the difference is… so far! To store the values as the mouse moves. And you will see the rectangle as the mouse moves! Awesome, thanks so much for the workaround Steve, that’s a great trick! Thanks for sharing such a great example to real-time boxing in OpenCV. I’ve successfully run the combination of your 2 codes. So, now I am trying to implement it as a function saved in a separate .py file and then import it/call it to a main program. However, when I do this the “real-time” drawing of the box did not perform as before. The box still get drawn after I release my mouse-click, but it is not as cool as a real-time drawing of the box. My question is if such a limitation is to be expected when using a function saved in a different file, or is there a way around it? Hey Stephen, if you want to implement the functionality in a separate Python file (whether that’s a class or a set of functions), take a look at the ClickCropper class in the imutils repo. I haven’t had a chance to merge it into the repository yet, but it looks like what you’re trying to accomplish. 1) Replace ‘roi’ with ‘refPt’ in ‘cv2.rectangle(rect_cpy, refPt, sel_rect_endpoint, (0, 255,0), 1)’. 2) Also note that ‘rect_cp’ should be ‘rect_cpy’ in ‘cv2.imshow(‘image’, rect_cp)’. Just used this for my grab-cut algorithm. Thanks a lot! Thanks for the tip Darwin! Your blog is one of the rare really useful ones I found on internet. Tricky problems with simple,straightforward but efficient solutions. Wish you all the best, Man. how would you go about making this kind of thing work? Hey Noah, I would consider reading up on constructing Python functions and classes. This isn’t so much a computer vision problem as a code organization problem. Adrian as everyone here says, your blog is great and very usefull. I am using bits and pieces of your code for a seven segment display reader. I can get the mouse events to work great on a static image, but I am using the raspberry Pi 2 with the picam. When ever the mouse is over a window the code seems to freeze and get stuck in the mouse event loop. Once you remove the mouse from the window everything starts running nicely again. Is there a way to keep the main code moving while the mouse is hovering over a window? Hey Rick, that certainly is odd behavior. 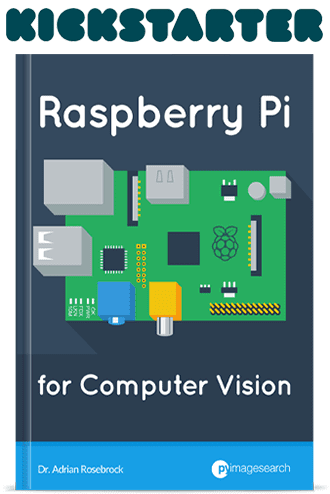 I have not tested this code out on a Pi 2 (only on my laptop), so I don’t have an answer for that off hand. The code should definitely not freeze like that, it makes me wonder if there is a problem with GTK and how the Pi is handling the window events. Can you try the code on your laptop and see if you get the same behavior? If not, then we’ll know the problem is related to the Pi. 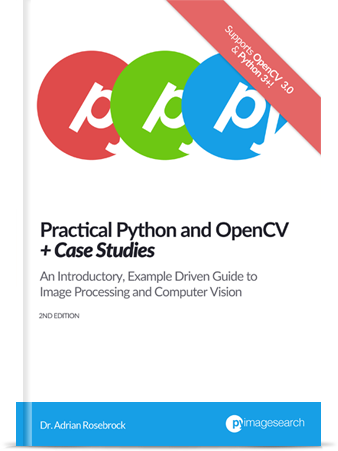 I am very beginner of openCV and python, from Japan. I would appreciate your advice. jurassic picture placed in the same directory. There is no need to first launch the python interpreter and then execute the code. Just use the command above and the program will work. I found this tutorial very helpful. But for my project ,i should be implementing the click and crop technique for a real time video and return the cropped frame image after the mouse event. Unfortunately you can’t really do click and crop for a real-time video. Basically, you would have the video playing, press a key to pause the stream, and then do your clicking and cropping. I actually detail how to do that in this post. Adrian, Can you add a line to a live video feed with cv2.line() and re-engineer the code above? Hey John — while I’m happy to provide code and explanations via blog posts for free, I cannot write custom code for you on a case-by-case basis. I hope you understand. 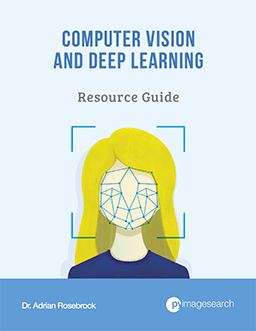 If you need help getting started with computer vision I would suggest going through Practical Python and OpenCV. You made my day with this tutorial. Do you know how can i show the rectangle during the clic and not only after the drop? This post is really helpful. I am new to opencv and trying out few things with it. I have two seperate images and i want to display both on the same window and when i click on one image it should be superimposed on the second image. Can you help me? Normally I wouldn’t recommend using OpenCV for complex GUIs. The GUI toolkit provided with OpenCV is mainly for debugging and creating minimal applications. For more complex apps, you should look into an actual GUI framework, such as Tkinter or Qt. As for superimposing two images, you should read up on transparent overlays. I need to mark cars in the image. There are multiple cars in the image, which I need to mark as rectangles. How shall I update the code? If you’re trying to mark and annotate your image, I think using dlib’s imglab tool is a better option. I was wondering if it’s normal or there is something wrong. Also, when I press “r”, the window does not restore, even when I press the “r” key several times until I choose a point in the image, and only after that pressing “r”will restore image, which is kind of annoying. Another question: I try to do cropping several times in a loop, to get different regions of interest coordinates. So, basically each time a message appears on the console, asking the user to choose certain area of interest. After the area has been chosen, the refPt content is first stored in a variable, then it becomes empty again for the next round. But, for some reason it gets stuck there, the window doesn’t change and I cannot choose any new rectangle in the image. I even try to destroy the window after each round, and create a new one for the next round, still no success. I would appreciate if you could give me a hint on what I might be probably doing wrong here. I got my code running in the loop, but I still have the issue of receiving the same error continuously, plus having the same problem with the “r” key. That’s quite strange regarding the “r” key. Are you using an US-based keyboard layout? If not, the “r” key may be mapped to a different ordinal number. Thank you for your reply Adrian. I got to fix the errors and make my code run smoothly through the loop. It was just some indentation thing, which is weird as I didn’t get any indentation error. Congrats on resolving the error! Hi Sir Adrian How could add code the solution of “MJ” and Steve to cut the region in reverse? I’ve been testing and I can not find the solution. Thanks in advance. Can you elaborate on what you mean by “cut the region in reverse”? I’m not quite sure I understand what you mean. Hello Adrian. Thank you very much for answering so quickly. Your code works for me perfectly, again thanks for these tutorials fantanticos, it has started perform them less than a month ago and the truth I have learned well, fast and I’m gone really well. Reviews companions “MJ” and “Steve” add some more to this code so useful. Could you indicate how they have done it if it is so friendly and will not involve much hassle? Because I have tried to add and I could not … Again many thanks. how extract the coordinates of selected rectangle area and add a label to them. What type of label are you referring to? Also if i want to do multiple cropping on the same image and create a new image with the extracted cropped parts at the same coordinates location off my original image with every other part that was not selected as white. You don’t need the argument parser. If you wanted to skip this step, just hardcode the path to cv2.imread. Your posts are extremely helpful! I’m trying to do something similar with zoom, and I’m using EVENT_MOUSEWHEEL. it seems that this function doesn’t work on Linux (Ubuntu). Did you try to use this event? I can’t find any information on the net. Hi Daniella — I’m honestly not sure about that event as I’ve never used it before. Sorry I couldn’t be of more help here! Really helpful tutorial. But when I try to crop the same image again, the program stops and quits the image screen. do you know how I can fix this? I need to be able to display several portions of the cropped image. You would need to modify the functionality of the code. Right now this script assumes you’re interested in just one crop. You’ll want to include the if len(refPt) == 2: statement in your while loop and give each ROI window a unique name (otherwise the window names will overwrite each other). Quick note: the global variable cropping isn’t actually used in this script. I imagine it was used in an earlier trial where it was used for a while loop or if statement condition, but in the current state, it is simply set and unused. I didnt work this program. please help me. how do I working this program in python Idle? This script cannot be easily executed using IDLE. Please save the program as a script and execute it via the command line. Thank you Adrain for the post. How can we modify the code such that.. Every picture in the folder gets looped and cropping multiple parts of an single image and saving it into different file . Example: Lets say I have two folders named “Players” and “CroppedPlayers”. There are 10 images of football being played inside “Players” folder and “CroppedPlayers” folder is empty. From each image I want to crop multiple players and save in side CroppedPlayers folder as separate image. Suppose each image has 11 players in it and I have 10 such images I want to have 110 images as result saved in different folder. There are multiple ways to accomplish this. You can use the tool as-is to mark ROIs, loop over each ROI, extract it, and write it to disk via cv2.imwrite. 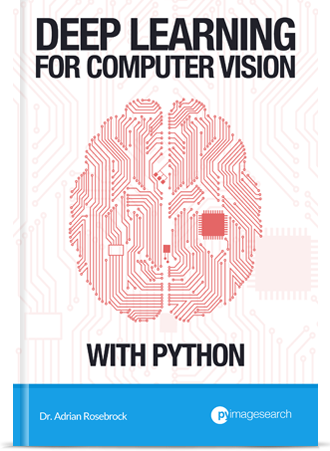 I cover the fundamentals of OpenCV and image processing inside Practical Python and OpenCV. Otherwise, it might be easier to use a dedicated annotation tool such as dlib’s “imglab”, then process the resulting XML file and extract the ROIs. A very nice post, Enjoyed it. However, is it possible to retain the contents inside a box, but remove the rectangle around it? Suppose, I draw a 100’s of Green rectangle in the image, but now I wish to remove few(say 10) of these & retain the rest (other 90) of them. How do I do that? I would suggest maintaining a Python list of rectangles and drawing the rectangles on a copy of the input image. You can then add/remove the rectangles list as you please. This post is simply amazing. However, is it possible to crop directly from the os screen, not from OpenCV window? Something like rectangular-snip in screen capturer program. OpenCV’s GUI functions are limited. They are primarily meant for debugging or for extremely simple applications. You’ll want to look into the GUI libraries for your respective operating system to obtain the functionality you are describing. Hi I found this code very helpful. I want the functionality of uploading a file via directory and then using the click and crop function on the image rather than typing name of file from the command line. can anybody help me with that ? I’m having a hard time figuring that out. click_and_crop.py: error: the following arguments are required: -i/–image. Why am i getting this error? If you are new to command line arguments, that’s okay, but make sure you read up on them first. when i open image with open with …. that is ok i can see whole of image but when i use that image i python file , i can’t see whole of image, seems zoomig of image. OpenCV provides limited sits of GUI functions. It’s not meant for full-blown GUI development. You might want to look into a dedicated GUI library such as QT or Tkinter. Hello Adrian thanks for this post. For some reason/task I want to use the right click on the video streaming window , but when I right click on that video streaming window a menu shows up , can u guide me to disable the menu option which originates on right clicking, so that I can use that right click hassle free. What OS are you using? That unfortunately sounds like it may be limitation of your OS or window manager. Yeah, that unfortunately sounds like your OS is opening an option menu on right click. OpenCV’s simple GUI features cannot update that. You should look into a dedicated GUI library like Qt, TKinter, or Kivy. OpenCV’s GUI functionality is meant to be very basic and really only for debugging. If you want more advanced GUI functionality I would suggest using a dedicated GUI library like QT, Tkinter, etc.